- Fixed player being able to unlock brig door without brig key. - Added in a couple of startling in-game hints for the first section of the game. - Added in a checker that alerts you if you don't have the fonts necessary to play the game. - Had the item pick-up message say "Archived" if you pick up an archive item rather than a regular item. Any feedback for our game? So it’s been a couple weeks since we released the demo now! How do you guys like the game? We’d really love some feedback or if anyone can give us any concerns or recommendations they have for the game, that would be very nice too. The silence is leaving us anxious that people are not enjoying the experience. Unfortunately we've had to remove the font installer because it is out of date and just causes even more hassle for most people than simply installing them manually. It also causes script hanging if you run the game in Administrator mode. - Caused the eye symbol to appear on all doors. - Fixed glitch where having two bandages in your inventory and giving one to Tom gives both to him. - Repaired error where you aren't gradually damaged by the red gas. - Made it where dropping items near Activatable objects will cause that item to move away from the object. - Removed exploit where you can access the menu while dying. - Put Nook safe code to be set in the beginning so it won't reset every time you activate the cutscene. - Fixed issue where Tom gets all his health back upon rejoining. - Ally tactics can now be set in the options menu. - Fixed monsters not chasing you through Maintenance stairway. - Fixed being able to take infinite records. - Fixed another clipping error in Cellar. - Fixed being able to see the Geraldine elevator scene even without activating the panel switch. - Included an automatic font installer. - Fixed monsters chasing you through Autopsy even if hatch is closed. - Fixed half of stamina not restoring after running out of stamina. - Prevented player from being able to take an ID card from every new Geraldine that spawns. - Added in some button reminders for Easy difficulty. - Took out ability to get Phone Number archive. - Fixed door event in Maintenance Hydro not doing anything. - Caused Tom to be in "attack" mode from the start. - Fixed Nook saying the same safe code would work even after you demonstrated it doesn't. - Stopped Red from doing anything else but follow you. - Added in a light vignette to Jayworld that directs you to the center light post. - Removed bug where Tom clone appears in Security Retrieval after sending a cure that doesn't work. - Added in a better hint for what cure to send Tom. - Fixed being able to plug in radio multiple times. - Fixed passable tiles in Cellar. - Fixed monster spawn in Hydro Systems 2. - Can't mess with buttons after releasing Tom any longer. - Fixed pathfinder crash when Red is in the team. 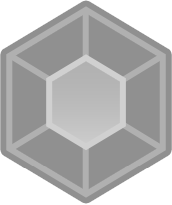 - Health is now depleted even while blocking, but at a smaller amount. - Allowed monsters to come into Storage 1. - Caused enemies to do less damage on Easy difficulty. - Made Shutter/Z Hatch opening code more obvious. - Described Tom's opus more as a can since some didn't realize it was a can. - Included yet another missing BGM file. - Fixed monster spawn in Maintenance Hall 1. - Fixed graphical error in Hydro Systems 1. - Fixed save point causing background noise to cancel out in Hydro Systems 1. - Fixed being able to leave Storage 1 while gas is present. - Fixed having same inventory when transitioning to Jayworld. - Included missing BGM file. - Added save point in Waiting Room. - Fixed Hall 3 Red scene that isn't supposed to be activated. - Fixed monsters not staying dead when going into another room right after killing them. - Fixed monster spawn in Foyer. Keep up the reporting! We should've known better than to think all the bugs were stamped out here.